SUNKISS MATHERM invented the Thermoreactor® and was the first manufacturer in the world to innovative by developing an infrared technology specially adapted to drying, fusion and polymerisation of paint. 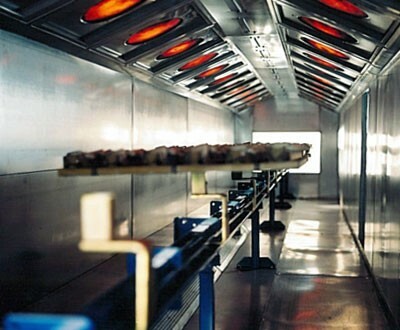 SUNKISS MATHERM now designs and produces infrared drying tunnels for a variety of industrial applications. Benefits include saving times and space and achieving better product finishing, energy efficiency and greater operational flexibility. 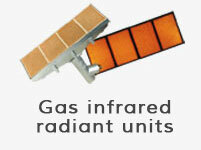 Operates in HYBRID mode (gas and electrical). Temperature between 60°C and 250°C. Temperature between 70°C and 300°C. 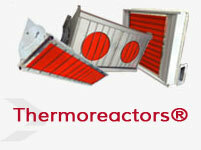 How does the Thermoreactor® work ? 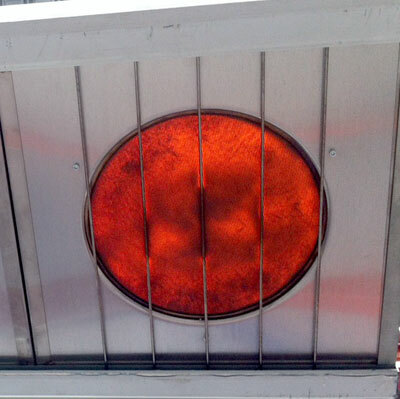 he Thermoreactor® invented by Sunkiss Matherm is a radiant panel-style drying apparatus that uses gas catalytic combustion technology to produce infrared radiation. It transfers active energy to the very core of coating by sending electromagnetic waves across a very broad infrared spectrum. These waves constantly fluctuate and are absorbed perfectly into all organic coating (paint, glue, water, etc.). 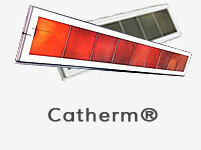 This radiant energy is augmented by the movement of reheated air at the surface of the Thermoreactor®, substantially reducing the time required for drying, fusion and polymerisation. 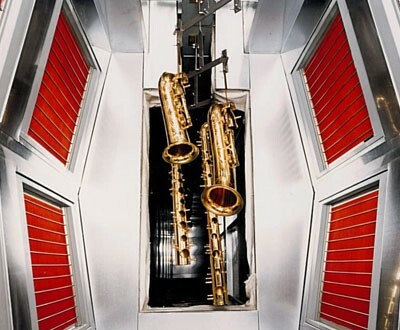 The Sunkiss Matherm drying tunnel features special components, has a unique operating mode and stands out also for its infrared techniques. 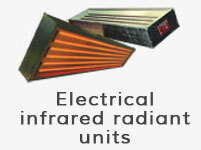 In addition, its radiation efficiency is amongst the best. UNKISS MATHERM’s infrared technology is renowned for its excellence for paint drying and curing but it also offers benefits to other industrial sectors that have similar requirements in terms of efficiency and quality. 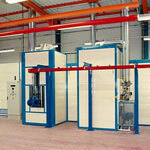 Are you looking for an innovative and efficient drying solution ? 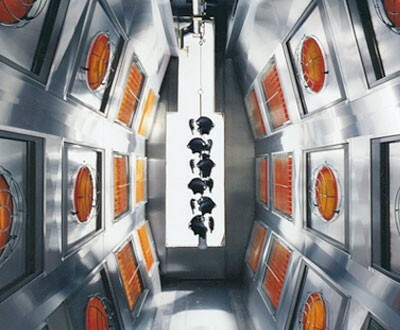 If you are interested in a drying tunnel that uses the infrared Thermoreactor® to rise to the challenges of your business sector, SUNKISS MATHERM can cater to your specific needs. The unique concerns of every company make our Research and Development team all the stronger and ensure our drying tunnels never stop improving.